We're celebrating our one year vegan anniversary! The reason we went vegan was for health reasons, we've both lost weight, we have more energy, and we both feel better than ever. We went vegan for ourselves, but now we do it for the animals and for the environment as well. We started our vegan journey never thinking it would be as easy as it was and it was made easier by friends online sharing recipes and resources! Where do we get our protein you might ask? Veggies, beans and baked Tofu! Baked tofu is one of our go-to's! We make it at least twice a week, adding it to ramen, veggie bowls and salads! Cut up extra firm tofu, place on a sheet tray, bake in a preheated 425 degree oven for 25 min, flip once mid way! 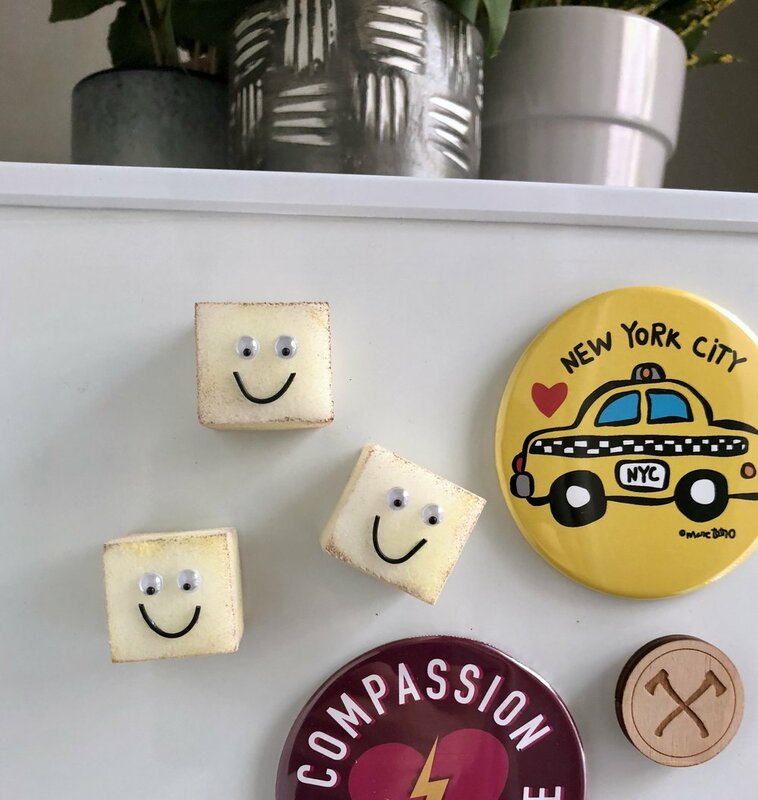 We've made little baked tofu magnets to spread the love to our vegan inspirations! 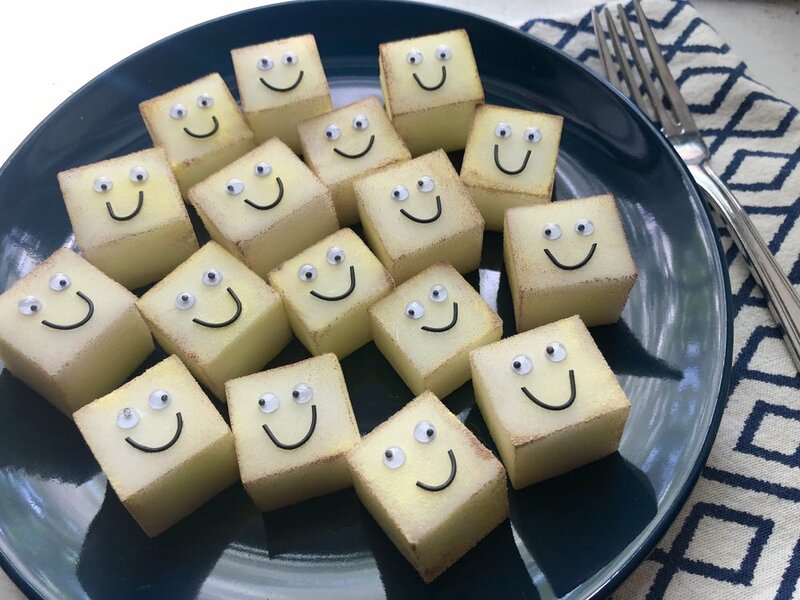 These cuties are made out of cubed sponges, to make them look toasty we sponged on a tiny amount of paint around the edges and added google eyes and wiry smiles! Don't they just look cute enough to eat?! If you're interested in trying to go vegan, we say do it! Don't stress yourself out by trying to cut everything out at once, start slowly.